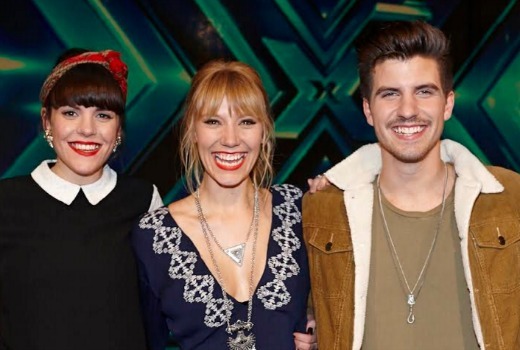 Sony has signed both X Factor runners-up Louise Adams and duo Jess and Matt following the grand final this week. On top of Cyrus Villanueva, that’s a pretty good innings for the Seven series. News Corp reports on Monday Louise Adams will release her debut single History and Jess & Matt will release Nothing Matters. X Factor drew 1.02m for its winner announcement on Tuesday, down from 1.55m in 2014. Brothers 3 are actually signed to Warner Music now & will release a new album Brothers Never Part on Friday 15 January. But the reality is, why vote for the grand final show if all of the contestants left will be getting a record contract. Seven should be refunding everyone’s 55c for their vote IMHO for the grand final show after this move by Sony. I think they only sign them in the sense that they release their already recorded winner’s single. Then they see what they’ll do with them after there. Kinda like Brothers 3 last year. They had their winner’s single released but what else from Sony? Yet they signed Reigan last year, and Nathaniel in a previous who didn’t come in the top 3 (still raging over Reigan not getting in last years top 3). Would lave to see Mahalia get a contract as well – she is unique and extremely talented in her genre of music. Definitely a niche market for . The X Factor probably just wasn’t quite the right vehicle for her. Not really they seem to do this every year and when the runners up don’t do well they are dropped eg Brothers 3. Others get hardly any promotion and then Sony wonders why the artists songs flop – Bella Ferraro comes to mind there. Do Sony realize they are making a mockery of the competition by constantly signing the runners up every year. It’s pretty much become pointless voting for a winner in my opinion when you know Sony are going to turn around a couple of days later and sign them anyway. I also think it is unfair on the actual winner of the show. In saying all that I am a massive fan of Jess & Matt and can’t wait to buy their album. Your last sentence kind of obliterates your first. Australia has plenty of runners-up who have gone on to showbiz success: Jess Mauboy, Anthony Callea, Shannon Noll, Ricki-Lee, Rob Mills, Johnny Ruffo, Nathaniel, Axel Whitehead, Matt Corby, Dean Geyer, Taylor Henderson for example.